Rajkumar Shellac Industries, an ace Aleuritic Acid Exporter & manufacturer in India. Our products such as shellac aleuritic acid & aleuritic acid are available in the market & getting higher demand across the nation. It is because; we are producing superlative quality of Aleuritic Acid & incessantly trying to retain it. Last but not the least; our affordable price is making us different from our other competitors. Aleuritic Acid (9, 10, 16-trihydroxypalmitic acid), obtained from shellac by saponification, is a unique acid containing three hydroxyl groups of which two are of adjacent carbon atoms. Aleuritic Acid is moderately soluble in hot water and crystallises out on cooling the solution. It is soluble in the lower alcohols such as methyl, ethyl and isopropyl alcohols. Techinal grade Aleuritic Acid (purity 99%) a slight yellow and almost odourless solid, is now manufactured by us. There is a continuous growing demand of aleuritic acid in the fields of perfumery and pharmaceuticals due to it being an excellent starting material for the synthesis of civetone, ambrettolide, isoambrettolide etc, which have the musk like odour. Civetone is obtained from Shellac Aleuritic Acid, and is used for manufacturing of Perfumes. Civetone is fast growing and is very much in demand with perfume manufacturing companies such as France, Italy, Germany, USA etc. White powder or granuals. Moderately soluble in hot water and in lower alcohol such as methyl alcohol, ethyl alcohol and isopropyl alcohol. Glucose manoaleuritate (a non-toxic non-hemolytic water-soluble compound) in medicine as an isocaloric substitute for dietary tripalmitin. Preparation of plastics with good adhesive properties by the condensation of aleurtic acid with Pithalic andydride and glycerin, rosin etc. 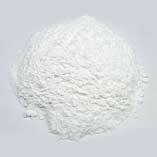 Aleuritic esters for compounding with cellulose esters for the preparation of lacquers, plastics and fibres.